Something’s sizzling in the volcano! It’s getting hot at terra mineralia because our winter holiday programme, "Something’s sizzling in the volcano! ", is all about these fascinating mountains of fire, and about how they produce new minerals, rocks and even whole mountains. Children will learn why and where volcanoes erupt, which minerals you can find there, or what it looks like inside a volcano. As a special surprise, our young holiday visitors will be able to “turn into” volcanic lava at the end. The programme begins with a tour of the exhibition where the boys and girls will be able to get to know the most famous volcanoes on each continent and what the different kinds of volcanoes are. Because all volcanoes are not the same – there are gigantic shield volcanoes, explosive composite volcanoes, volcanic fissures without the classical crater, or volcanoes which, instead of having a crater, have a huge caldera (Spanish for cauldron). We’ll plot on a world map where each volcano is found. When all the volcanoes have been found, you’ll be able to see from the map where the mysterious volcanic ring of fire lies. 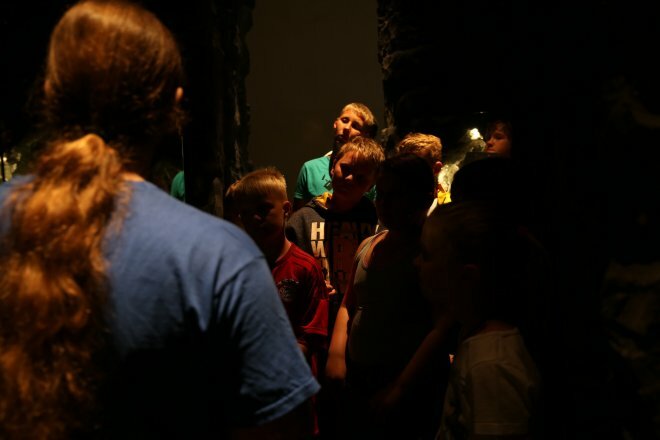 In the Europe room, a real walk-in volcano awaits children. Here, as they play, they’ll learn how a volcano is structured. And in our “I am lava!” section, the children will be able to experience for themselves the liquid rock’s path – the girls and boys will be able to crawl into the magma chamber, climb up the vent and “pour” themselves over the edge of the crater on a lava run down the slopes of the volcano. Once they’ve reached the bottom, they’ll get to know the various rocks and minerals that can be found around the volcanoes. In the Journey of Discovery – the exhibition’s science centre – it’ll be getting hot. It’ll all be about volcanic eruptions: how do eruptions happen? Why does one volcano explore while another just keeps bubbling away? What are the different kinds of volcanic eruption? And is it possible to measure the strength of an eruption? In order to answer these questions, TU Bergakademie Freiberg students have dreamt up some vivid experiments. At the volcano pump, children can try to make a volcano erupt for themselves. If they like, they can also make their own volcano afterwards and take it home with them. The "Something’s sizzling in the volcano!" programme runs from 6-21 February 2016, daily from 10am. Children’s and childcare groups are requested to register in advance. 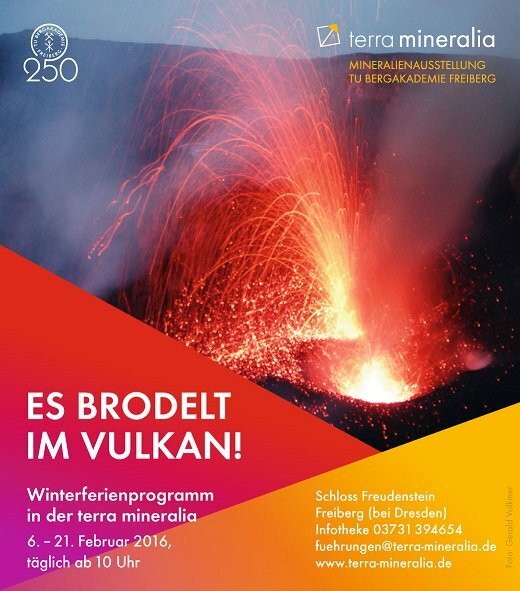 Further information is available from the Information Desk on 03731 394654 or fuehrungen@terra-mineralia.de. Entrance costs €8 for adults, €4 for children, and a family card costs €18. It’s the Easter holidays in Saxony from 25 March to 3 April 2016. 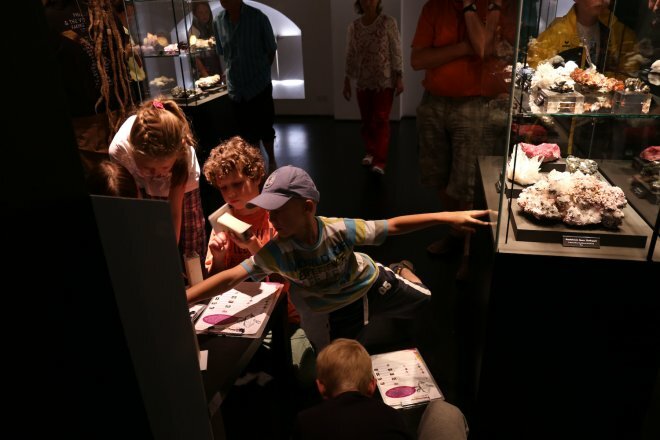 At terra mineralia, everything’s going to be very mysterious with small visitors as well as large taking part in a treasure hunt through TU Bergakademie Freiberg’s mineral exhibition. 10 Easter nests have been hidden throughout the exhibition. They contain clues and questions about various minerals. The answers together form a secret mineral code that can be cracked in the Journey of Discovery, the exhibition’s science centre. There, children will feed their code into our “mineral generator”. If the code is right, the machine will “spit out” a genuine mineral. Children will then be able to identify this mineral themselves. Just like a real mineralogist, they’ll examine its various characteristics – its colour, streak, fracture, lustre and much more. TU Bergakademie Freiberg students will be on hand to help you solve the puzzle. And at the end, of course, you’ll be able to take the mineral you’ve identified home with you. Programme runs: 25 March – 3 April 2016; duration: 1½ hrs. approx. children’s and nursery groups must register in advance. 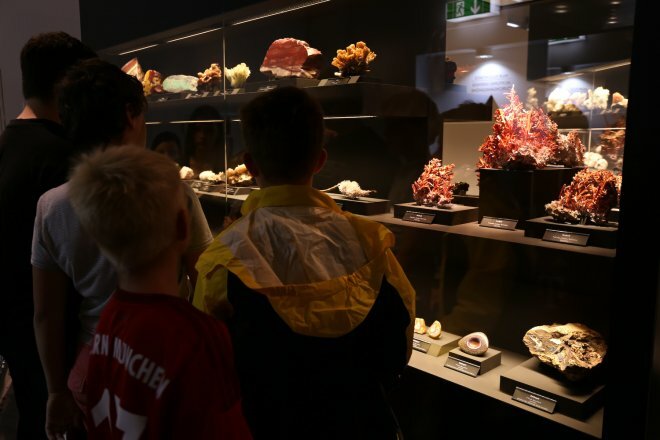 Over Ascension Day (5–8 May) and Pentecost (14–16 May), everything’s going to be technicolour in the Voyage of Discovery, terra mineralia’s science centre. Why? Because exciting experiments with mineral colours and crystal growth will be awaiting visitors. But where do mineral colours come from? Colour is an extremely complex property. It’s a combination of the perception of light by the human eye, the chemical composition of minerals and the physical properties of light. What causes different minerals to have different colours cannot all simply be explained in the same way. There are various interacting causes that provide the vast colour palette of minerals. Visitors, both big and small, will discover how we see and perceive colours. 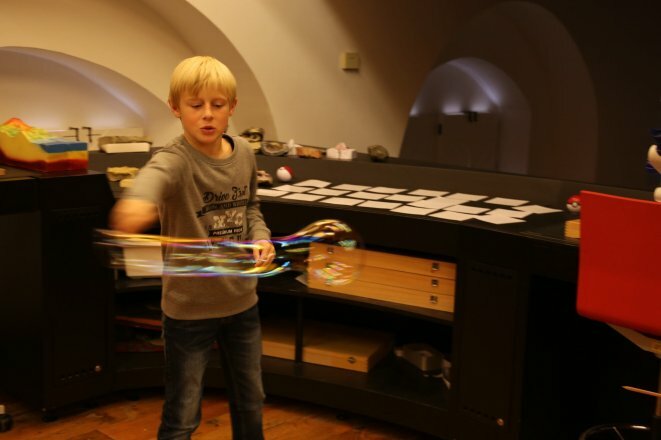 Experiments at the transparency table, with the overhead projector and spinning tops await you. Here, you’ll be able to test, push, turn, watch and be amazed. In addition, children will have the opportunity to identify streaks of colour of different minerals and compare them with their actual colours. The colours of minerals are closely related to crystal growth. But what actually has to happen for a crystal to be able to grow? And can you watch this process perhaps, or does it take several hundred years for a crystal to grow? With the help of several small building blocks, TU Bergakademie Freiberg students will provide the girls and boys with a vivid illustration of crystal growth. Afterwards, using the polarised light microscope, the children will be able to see for themselves how salt crystals and tiny silver trees grow. In recent weeks, we’ve been working on a new installation in the Asian Room, which is part of the permanent exhibition. In four display cabinets, it vividly demonstrates the growth of crystals to guests. The crystals have been specially grown for this by one of TU Bergakademie Freiberg’s mineralogy graduates. With her help, crystal growth is shown by growth stages, i.e. what size can a crystal attain within a given period if the conditions are ideal for growth. The display also explains what colour and shape a crystal can adopt if the chemical composition of the solution is changed. This section on crystal growth will be permanently on display in the exhibition. Our terra mineralia Experimentation Days will take place over Ascension Day (5–8 May) and Pentecost (14–16 May), daily from 10am–5pm. Please allow about 1½ hours for a visit. You can start your visit at any time. Children’s and day-care groups are requested to register in advance. Last entry is at 3:30pm. For more information, please contact the terra mineralia Information Desk on 03731 394654 or fuehrungen@terra-mineralia.de. Duration: approx. 1½ hours, anytime between 10am and 5pm; last entry 3:30pm. children’s and day-care groups must book in advance. Every hour of every day, we encounter quartz without even noticing it, because quartz isn’t just a mineral that comes in a range of fantastic colours. Its uses are much more exciting – it is found in tea glass, quartz clocks, window panes, solar cells and much more. 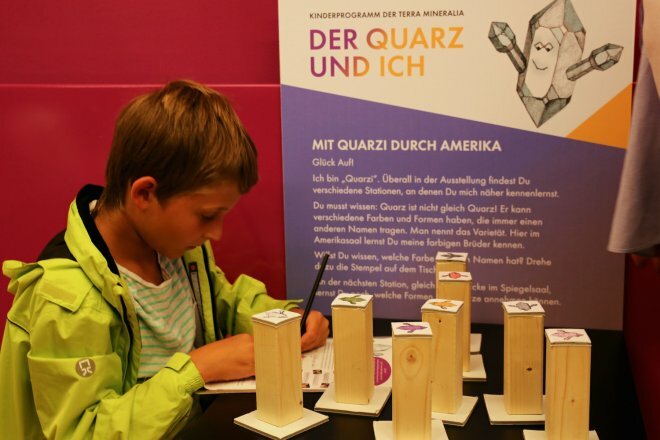 During the summer holidays, interested children will be able to discover everything about quartz at the terra mineralia exhibition! 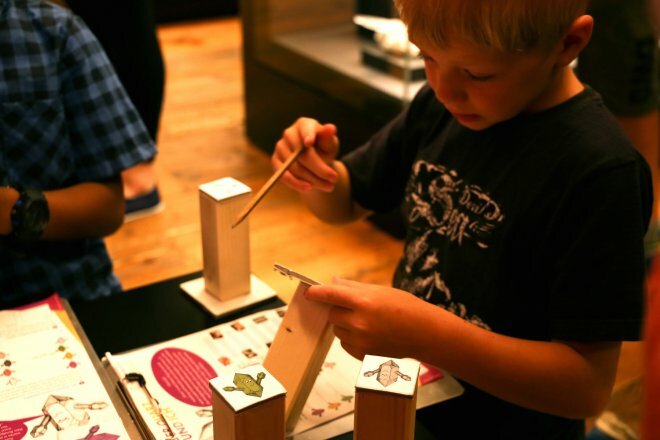 At dedicated stations throughout the exhibition, children will be able to learn about quartz for themselves. Short experiments and games will be waiting to provide visual explanations of the various properties of quartz for the girls and boys. The various stations will provide answers to questions such as: What colours is quartz found in? What are its properties? What can it be used for? Can quartz also be found in different forms? What rocks does quartz occur in, and how do we recognise it in them? A little piece of quartz will guide them through the exhibition, where the most beautiful pieces of quartz can be seen in all of their most magnificent shapes and colours. From the Thursdays to the Sundays during the relevant period, additional experiments related to the individual stations will take place in the Research Expedition. They will be conducted by students from TU Bergakademie Freiberg. Guests, both young and not so young will also have the opportunity to ask all of their quartz-related questions on these days. Terra mineralia’s summer holiday programme, “Quartz and me”, is open daily between 10am and 5pm from 25 June – 7 August. From Thursdays to Sundays during this period, additional experiments will also take place in the Research Expedition. Please allow around 1½ hours for a visit. You can start your visit at any time. Children’s and day-care groups are requested to register in advance. Last entry is at 3:30pm. For more information, please contact the terra mineralia Information Desk on 03731 394654 or fuehrungen@terra-mineralia.de. Duration: approx. 1½ hours, anytime between 10am and 5pm; last entry: 3:30pm. "The Quarz and me", summer holiday's programme 2016, 27 June - 7 August 2016, Photo: Luisa Maria Dietrich, terra mineralia. 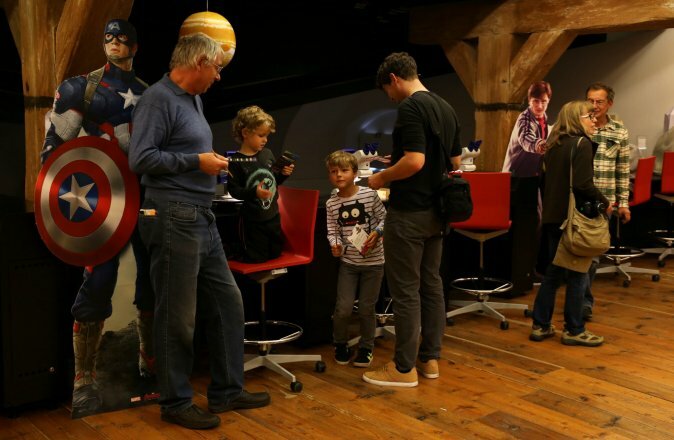 Autumn holidays, 1–16 October 2016: Star Wars, Star Trek, Superman – minerals in science fiction and fantasy. Photo: Luisa Maria Dietrich, terra mineralia. 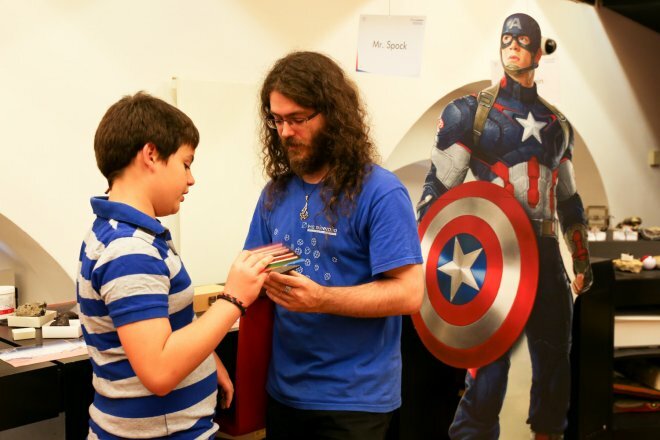 Kryptonite, vibranium or the Arkenstone – all of them appear in comics, books or films because of the magical powers or deep secrets they conceal within. Between 1 and 16 October, we’re offering visitors - young and old - the opportunity to become more closely acquainted with nine of these special minerals. 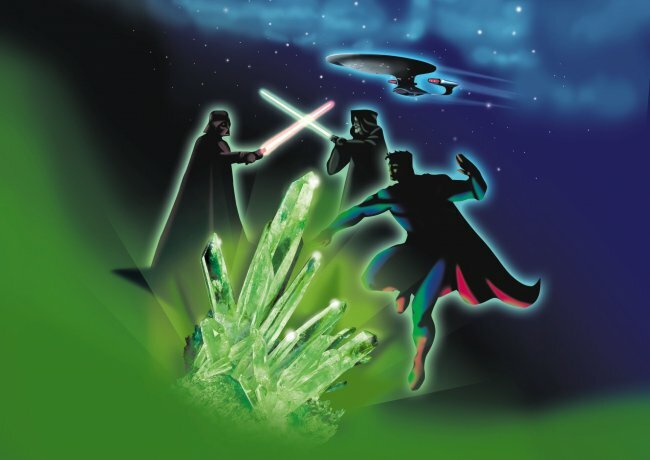 Perhaps the most famous of the science fiction minerals is kryptonite – a glowing, green mineral which is hazardous to humans and robs Superman of this powers. The man of steel thus becomes vulnerable, sick and unable to fly. 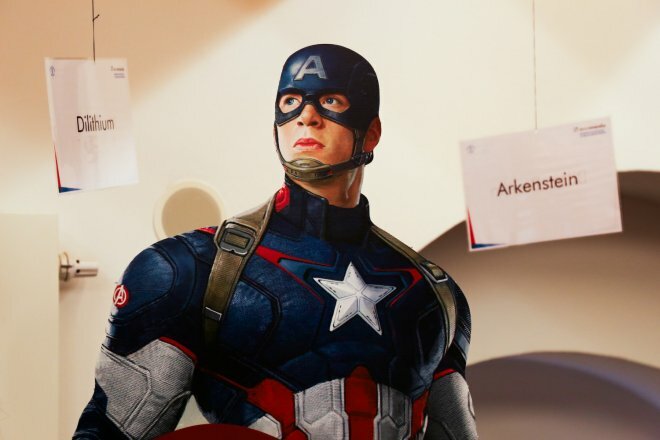 But other comic book heroes too, such as Captain America with his vibranium shield, rely on the power of minerals. There’s even a magical crystal hidden in the famous Jedi Knight lightsabre from the Star Wars films. 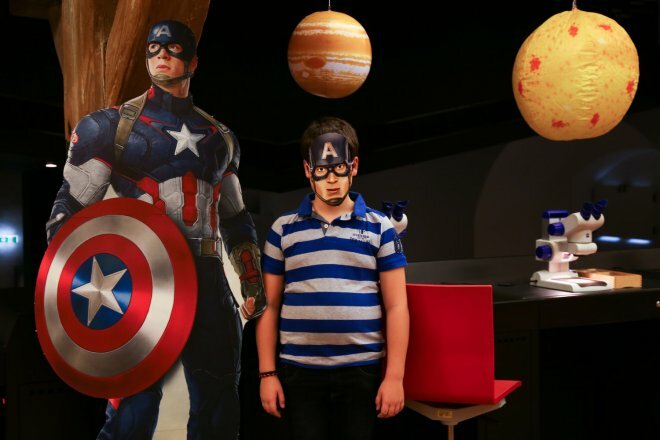 On a treasure hunt through the exhibition, children will get to know the various science fiction minerals, their properties and their effect on the relevant superheroes. To do this, we’ll first draw a little map with special clues at the Ticket Office. Armed with this, visitors young and old will then set off on their voyage of exploration. 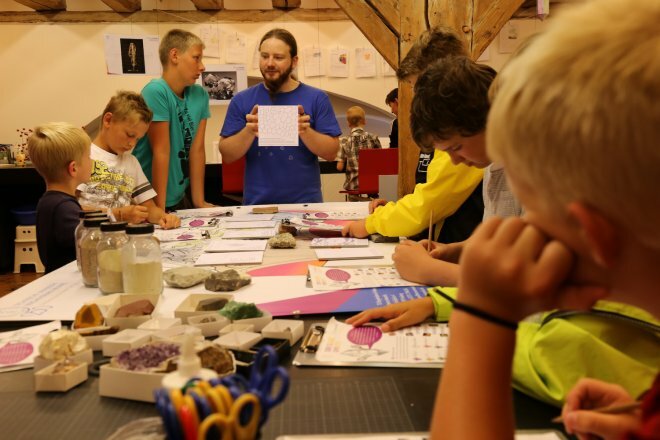 In the second half of the programme – in the Voyage of Discovery (terra mineralia’s science centre) – students from TU Bergakademie Freiberg will illustrate which real minerals the science fiction ones can be compared with. Visitors will learn, for example, why the Jedi Knights’ lightsabre from Star Wars is able to have a blade even though an actual laser keeps shining on into the distance. The students will also demonstrate which Pokémon stones really exist in fossil form and which contemporary discoveries we have Star Trek to thank for. 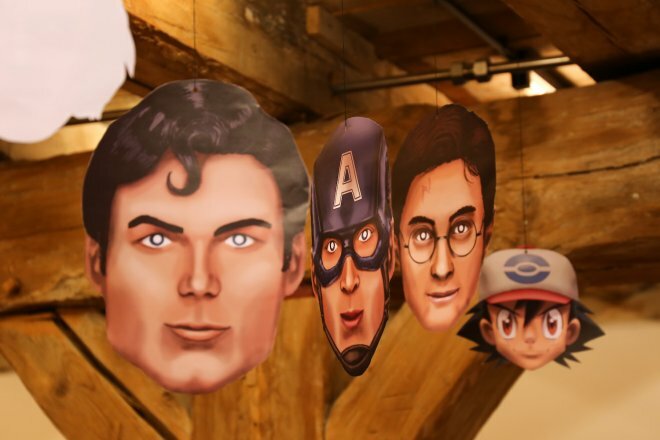 Finally, we have a little surprise for the children: they can use masks to transform themselves into their favourite superheroes and have their photo taken. The terra mineralia autumn programme runs from 1–16 October 2016 between 10am and 5pm every day. Please allow 1½ hours for a visit. You can start your visit at any time. Children’s and day nursery groups are requested to register in advance. Last entrance is at 3.30pm at the latest. For more information, please contact the terra mineralia Info Desk on 03731 394654 or fuehrungen@terra-mineralia.de. Children’s and day nursery groups must book in advance.